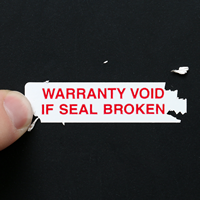 Seals, Destructible, ½" x 2"
You can manage your warranty program with a better destructible label. 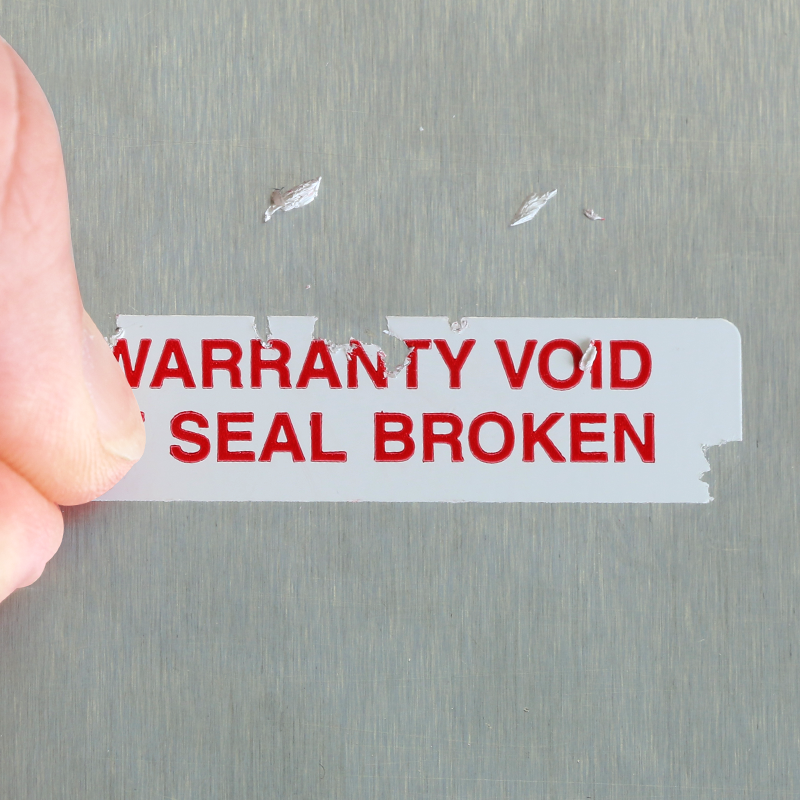 Get proof of tampering with this WARRANTY VOID, destructible vinyl seal for your inventory. 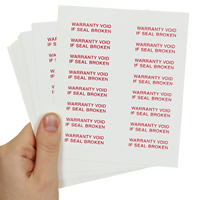 • These labels are made from destructible cast vinyl. 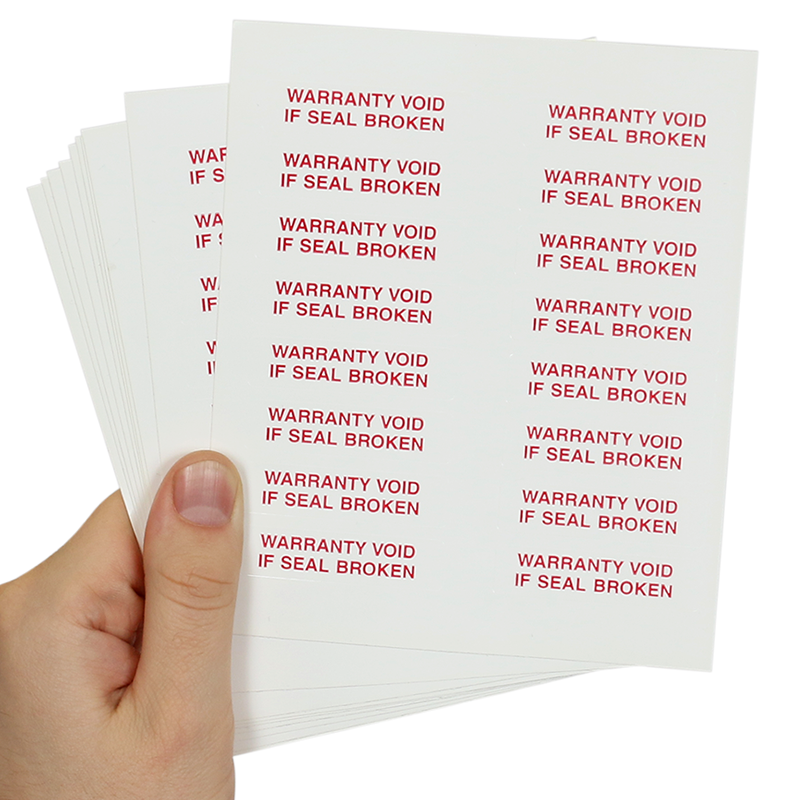 • A key feature of TheftGuard® labels is that they are "frangible" - materials designed to break apart to show evidence of tampering after it is fully adhered to an object. 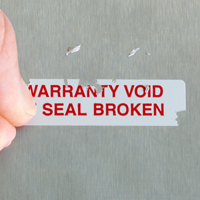 • Labels are screen printed for extra durability.